Winner earlier in the year on home soil, Belgium’s Lisa Lung is the leading name on duty in the Junior Girls’ Singles event at the forthcoming 2017 Portugal Junior and Cadet Open. 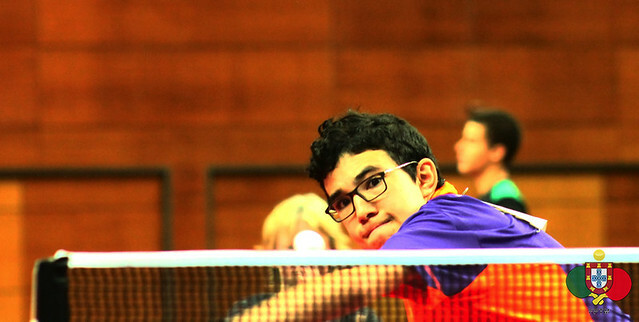 Play commences in Guimarães, a town situated in the north of the country on Wednesday 22nd November, it is the concluding tournament on the calendar of this year’s ITTF World Junior Circuit. Following the close of play in Guimarães, the official list of the 16 players to receive invitations to compete in the 2017 ITTF World Junior Circuit Finals, to be staged in Luxembourg next year in early February, will be known. Presently Lisa Lung is listed at no.13 (1,886 points) on the Standings but when considering the invitation list for Luxembourg, she is in the no.9 spot; the reason being that a player must have competed in a minimum two continents on the 2017 ITTF World Junior Circuit and no national association may be represented by more than two players. Higher listed players in the guise of Serbia’s Sabina Surjan, China’s Liu Weishan, Japan’s Yuka Minagawa and Croatia’s Sun Jiayi have only competed in one continent. Lisa Lung is Luxembourg bound, as is Thailand’s Jinnipa Sawettabut, the no.2 seed in Guimarães. She is one of the most familiar faces on this year’s ITTF World Junior Circuit, Portugal being her eighth appearance. Currently she is listed at no.22 (1,548 points) on the Standings. However, taking into account the regulations plus the fact that each continent – Africa, Asia, Europe, Latin America, North America, Oceania – in addition to the host nation is eligible for representation, Jinnipa Sawettabut just makes the cut. In terms of players who meet the criteria to compete in Luxembourg, she is in the no.12 position. No player from the host nation plus Africa, Latin America or Oceania is higher listed. At the 2017 Portugal Junior and Cadet Open, Jinnipa Sawettabut can cement her place in Luxembourg and add another invitation card to her list; some two weeks ago in the first week of November she secured her place in the Buenos Aires 2018 Youth Olympic Games by emerging successful at the Asian qualification tournament in Greater Noida, India. Play in Guimarães concludes on Saturday 25th November.